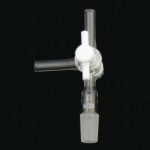 Borosilicate glass solvent still-head. Designed to maintain distilled solvents in an inert atmosphere. Top of main vapor tube is open and an additional vapor tube has been added to decrease risk of pressure buildup. Upper sampling port has a PTFE stopcock with a standard taper outer joint for use with a septa (SP10). Lower drain is centered to allow total drainage of storage head. 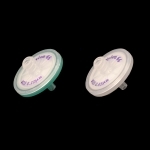 Double oblique 4mm PTFE stopcock allows for removal of distilled solvent or return to flask. 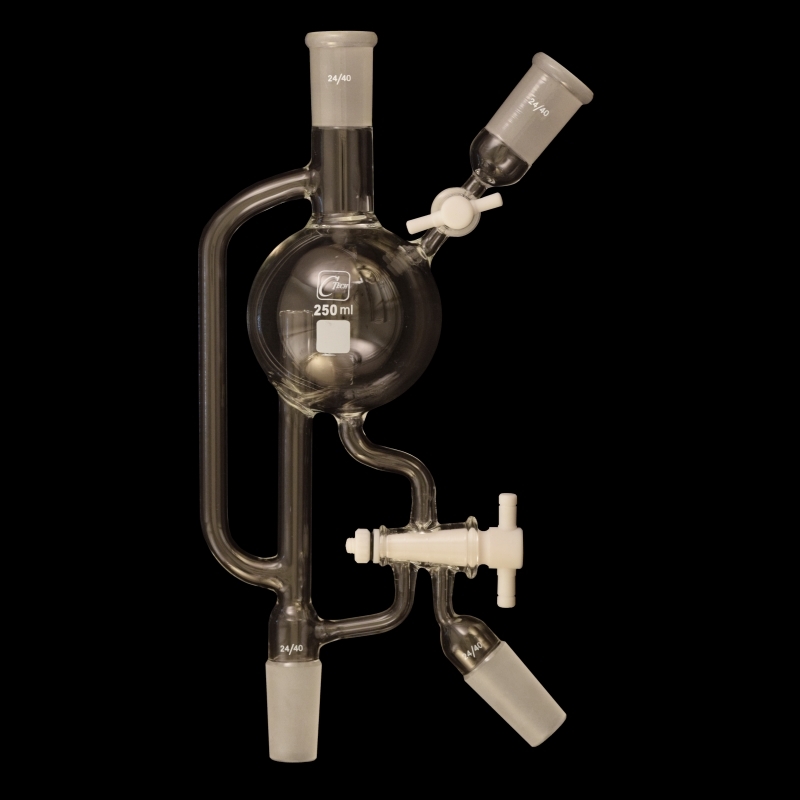 The bottom left vapor tube protrudes into spherical reservoir to prevent solvents from leaking through vapor tube. For replacement of stopcock plug and accessories, see AC-0016 and AC-4015. Volume: 250 mL. Joints size: 24/40. Stopcock bore size: 2 mm.